Stop by the CUESA Classroom for a cooking demo featuring the seasonal bounty of the Mission Community Market. Arun Gupta, a New York City native, fell in love with cooking while studying abroad in France. After a semester of long dinners with his French host family, Arun got the bug and started cooking for himself and his friends any chance he could get. Small weekday dinners grew into large barbecues and multi-course tasting menus in his parents’ apartment and before he knew it, there was no going back. Despite this love of cooking, Arun’s path to the professional kitchen was unconventional at best. Arun enjoyed a brief career teaching chess at a Montessori school in lower Manhattan. While seeking advice on whether to go to culinary school, Arun was pointed in the direction of Michael Anthony at Gramercy Tavern. After only a trail and a brief interview, Arun was surprised when Mike asked him if he wanted a job. 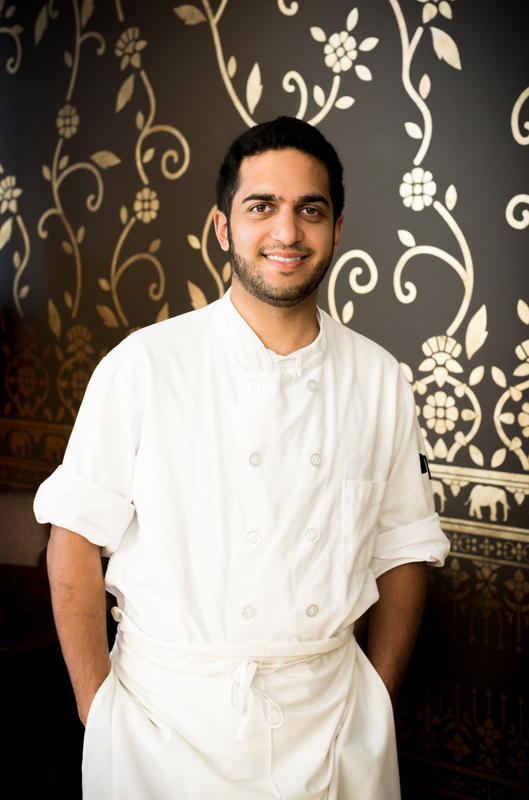 Over the course of close to five years at Gramercy Tavern, Arun expanded his knowledge and appreciation of fresh local ingredients from many trips to the Union Square Farmers Market. All demos take place in the CUESA Classroom (under the tent on Bartlett at 22nd Street, opposite the La Placita stage) and are free to the public, with recipes and samples for all.